Do you mean how high a mast we had for our TV antennas? Because I grew up in a bad area for Sydney TV reception, our antenna was on a 30 foot / 10m mast. Not DX related- but how does everyone’s DTV hold up during periods of intense thunderstorm activity? I suffer intense lightning related dropouts (pixellation) to the point of making HD channels unwatchable. My box sometimes freezes and has to reboot, too. This makes me pine for the analogue days where the worst you’d get is a little bit of static. Interference occurs when storms are as distant as ~50 km away. I can’t find a technical/troubleshooting thread in the television section (which I don’t frequent often, admittedly) so apologies if this is in the wrong thread. I get a bit of pixelation but nothing that renders it unwatchable. I’ve not noticed anything even on non-local signals. I forgot to mention the rather obvious point that lightning interference is much more severe on VHF than UHF. So we should limit the comparisons to VHF channels only; I know you primarily use the Artarmon signals RH, and the UHF relays from the Central Coast. Yes, it’s more noticeable on VHF for me, and also as those signals are usually not as good as the Central Coast UHF ones. In my country, during 80s in the Southwest, some rich families even bought a 25 or 30m antenna to receive TV (!) because some province at the time even didn’t have any TV service, or even local transmitter so they need to rely on Can Tho(*) transmitter, which transmits CTV (*1), CT8 (or CT3?) (*2), and CT43 (*3), #myfriends. (*) Flagship “province” of the Southwest region. Initially it was a large province including Hau Giang and Soc Trang, after 1992 Soc Trang was splitted from Can Tho, and after 2004 Can Tho became a city after splitted from Hau Giang. (*1) VTV’s regional station, flagship of the Southwest region. It was a former “flagship” of the Southwest region within the National Radio-TV Commitee prior to the comittee’s dissolvation in 1987 (?). Relays HTV (HCMC) and VTV (in daytime) until 90s. Became CVTV in 2004, then VTV Can Tho in 2011. Closed in 2016. (*3) Frequencies occupied by HGTV (?) in 2004/05. I’m sorry if it’s off topic, #myfriends. Do you mean just a dipole? It can be done, apparently my Grandfather did this to receive CHTV3 in the 60’s. Back then the signal still come from central Christchurch, NZ rather than Sugarloaf (which overlooks the city). Dunno how good the reception was, but to watch a 10kW signal from 80km away, even it it was over flat plains, seems a pretty reasonable excuse to give it a crack. Well i’m sorry i’m not understand about it, but in my situation back in 80s, most province (in the Southwest) didn’t even have a local transmitter so some rich home even bought 25 - 30 meter antennas just to had clear reception from Cần Thơ. It’s not cheap, so normal homes would rather bought 10 - 20 meters antenna instead. 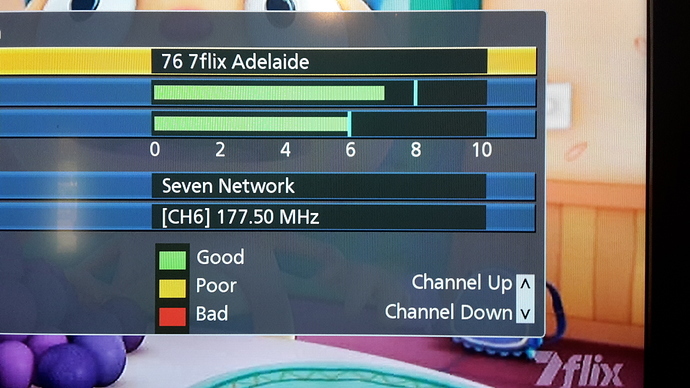 I was briefly getting Nine (NBN) Newcastle just after 9pm tonight (ie. a few minutes ago) at my home near Campbelltown! Yes, there is a bit of ducting about tonight. I had very strong Wollongong FM radio about an hour ago, it has dipped a bit now though. “save your money” on the phone call to WIN and save up for the tower for the Mt Lofty signals. 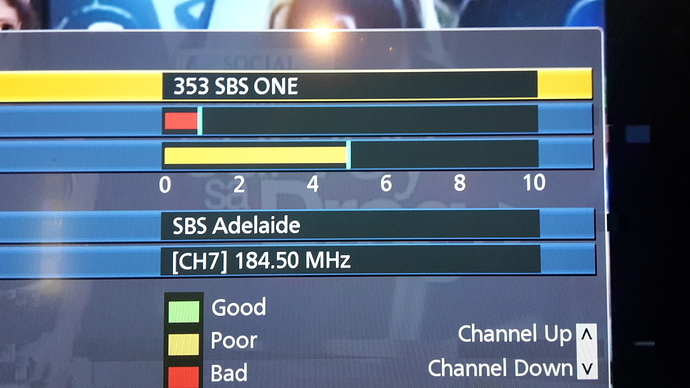 @TV.Cynic, great work on the long distance reception. There would elevated parts of the Nardi coverage area with a clear view SW that would suffer from occasional interference from Dowe. Better shielding on cable and joints needed. Try RG6. that lightning interference is much more severe on VHF than UHF. Yes, lower freq = longer waveform, more gap for impulse noise to get in. That longer waveform is also better for hilly terrain, so has its advantages. 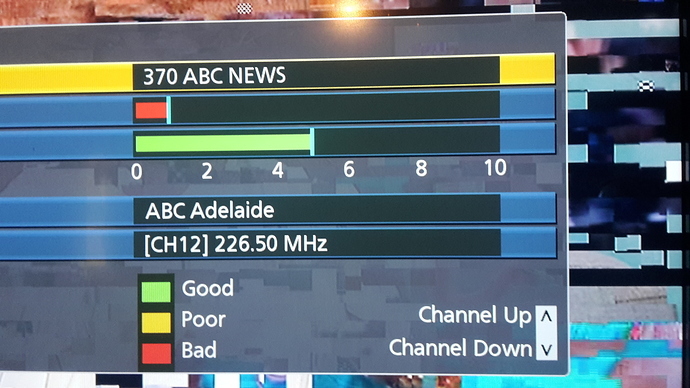 Some strong tropo ducting around this morning in Renmark, also had 99.5fm on the car radio this morning which is either from Mildura or towards Adelaide but it wasn’t very clear and lots of static. Your 99.5 on your car radio is likely to be HIT 99.5 from Mildura. Was there anything on 97.9, which is Triple M from Mildura. 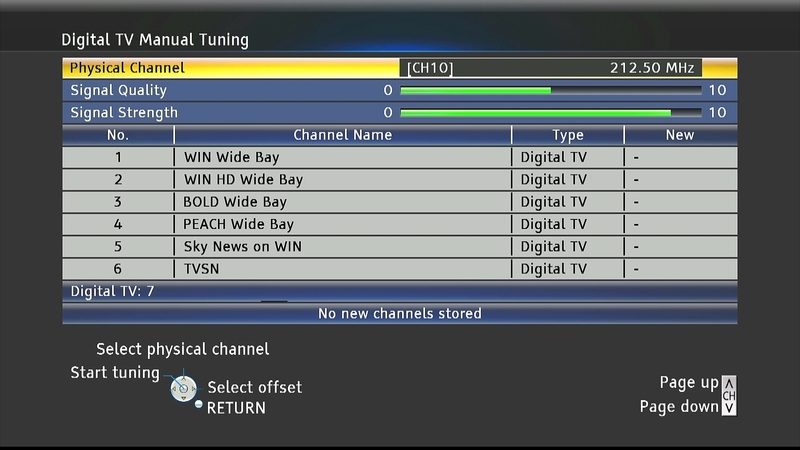 Wide Bay TV received last night in Brisbane. Also signal from Rockhampton but not strong enough to decode. I remember when living in Pakenham getting Metro and Gippsland TV. It used to be handy watching the cricket when the blockout happen in Melbourne from 3 or 4pm. Switch to WIN. From about Warragul to Cranbourne and all the way to Phillip Island, You have the choice of getting most channel on Regional and Metro Channels. I remember when living in Cranbourne trying to get WIN so I could watch the cricket but was very patchy. Not exactly on topic, but a query regarding licence areas: is Camden, NSW part of the Sydney metro licence area? How far out into Macarthur and Southern Highlands is officially the metro licence area?